At Wilbanks Construction, we pride ourselves in two principles. The first is that “We do a Quality Job at a fair price”. It cannot get any simpler than that. In business for nearly 18 years, we are here to stay. We have many satisfied customers, and they will testify to this. Take a peak at our customer references and feel free to contact any of them. Why Choose Wilbanks Construction For Your Remodel or Renovation Project? What separates us from our competitors? There are a couple of reasons. First, we are a State Licensed Contractor. Many Contractors have a Business License, but are not licensed by the Secretary of State for Residential/General Contracting. WCC is also fully insured, with a $1,000,000.00 liability insurance policy, that protects you as we work on your home. Second, our owner, Jeff Wilbanks, spent 20 years as an award winning producer for a Fortune 500 Corporation. His primary role was the servicing of his clients accounts. Jeff has brought that passion into the contracting market place. Mr Wilbanks has over 18 years experience in making peoples' dreams come true. You will not find a more knowledgable, caring person to deal with. More importantly, Jeff is a hands on Owner. He will answer his phone when you call or return his calls promptly. Spending countless hours returning emails from his Phone , you can rest assured that any concerns you may have will be handled promptly and courtesly. He truly lives up to our second principle, "Great Customer Service Is Our Number One Goal." We're a member of the National Association of the Remodeling Industry (NARI), and the National Kitchen and Bath Association (NKBA). We're also A+ Rated at the Better Business Bureau. 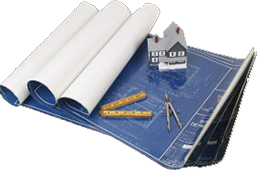 Our team consists of craftsmen that have an extensive experience level in all the diciplines of contracting. Therefore we keep all work in house. This means that you will not have the quality control problems that many contractors have when they hire outsiders to do their work. Wilbanks Construction takes pride in being your full service provider that can handle any of your remodeling needs. That means you need not look any further to get your dreams started today.